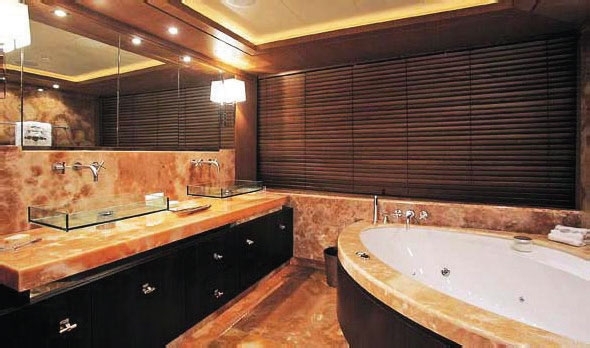 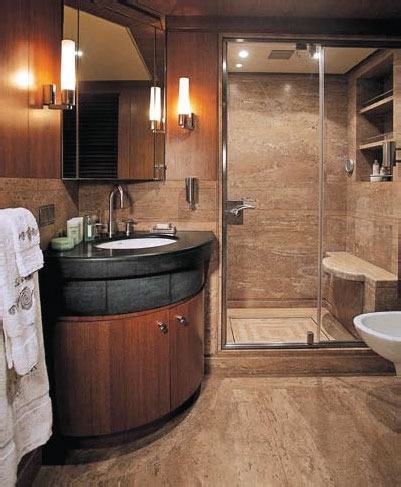 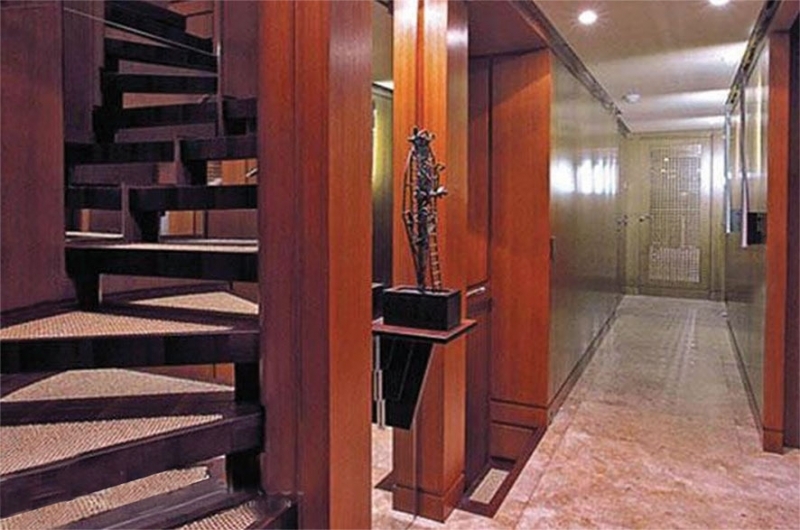 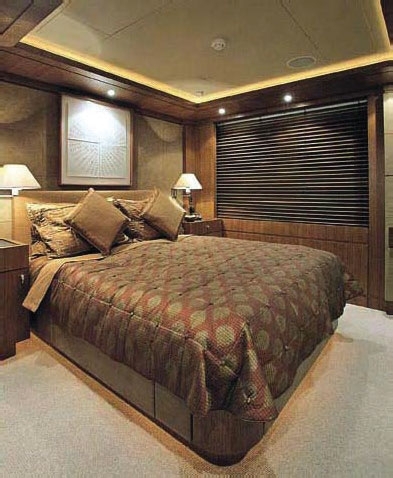 • Each stateroom has ensuite bathroom. 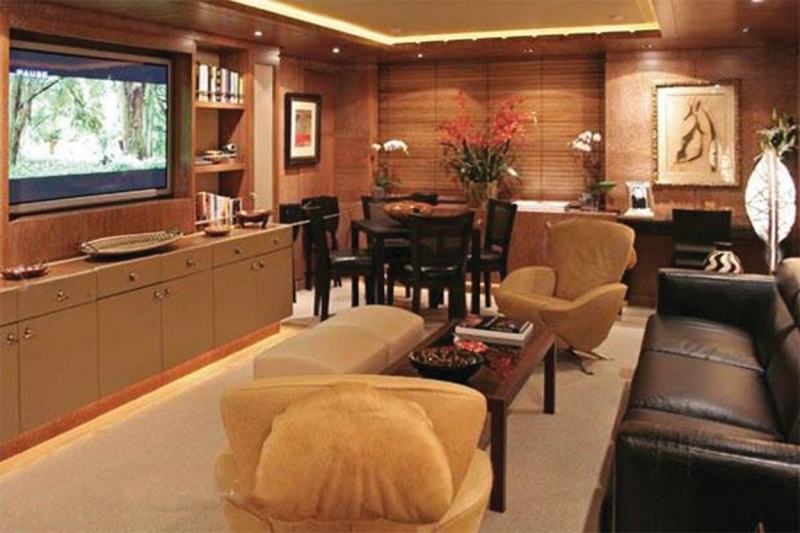 • Central entertainment system allows access to central DVD and CD library independently. 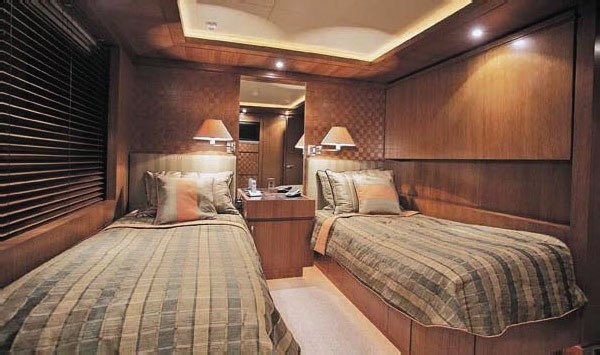 • TV, DVD/CD players in each cabin. 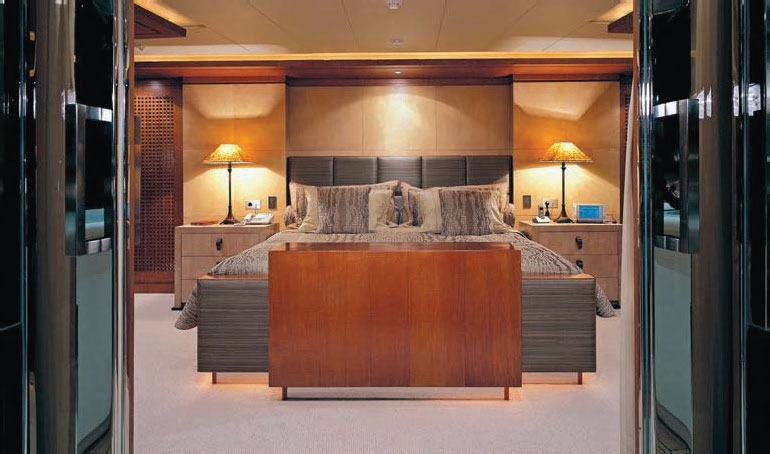 • Ethernet and WiFi throughout. 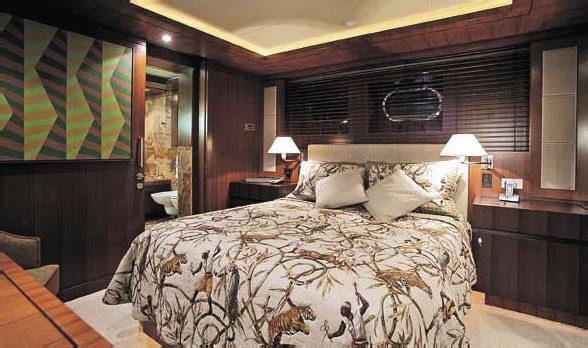 Owner’s Cabin King size bed cabin on the bridge deck with access through private foyer, en suite bathroom with Jacuzzi tub, hamam and separate shower; private outside sitting/dining area aft. 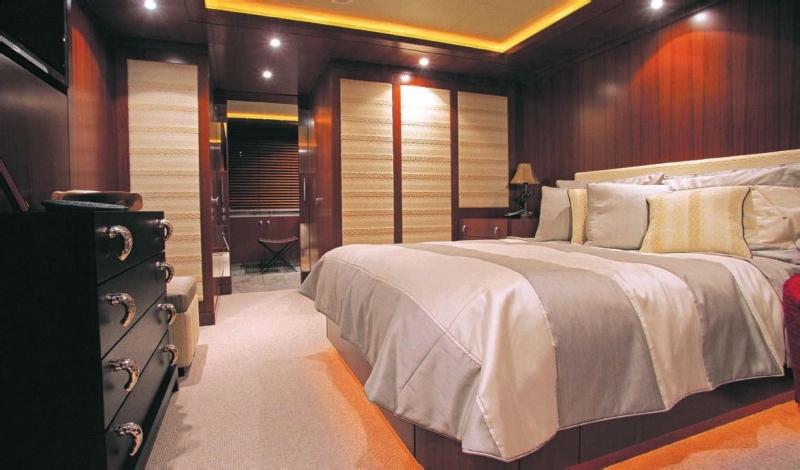 Main Deck VIP Cabin 1 x Queen size bed cabin with en suite shower with hamam. 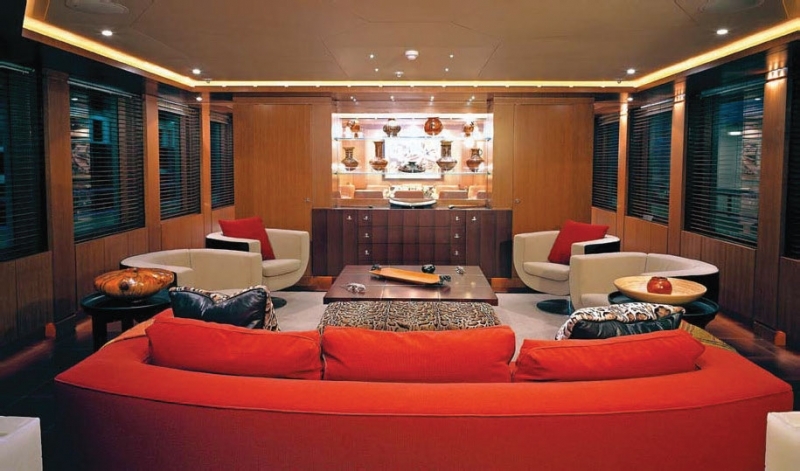 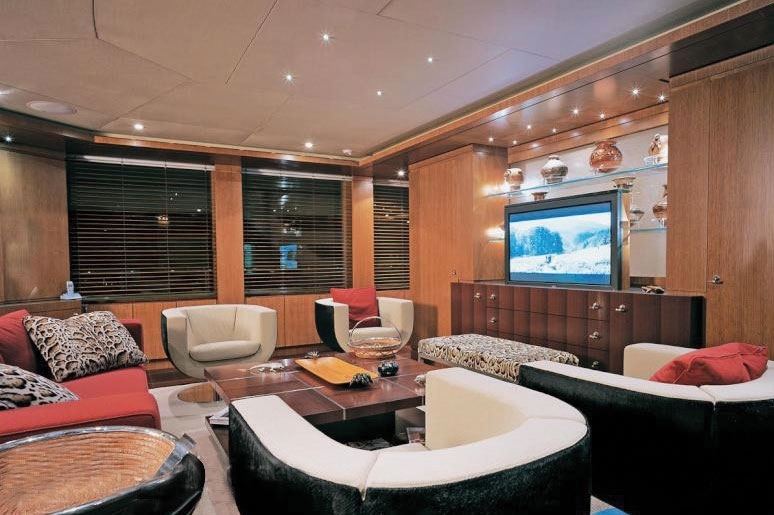 Main Deck Aft deck seating area, main salon, dining room w/ seating for 12, media room w/full entertainment package, cards table, casual seating. 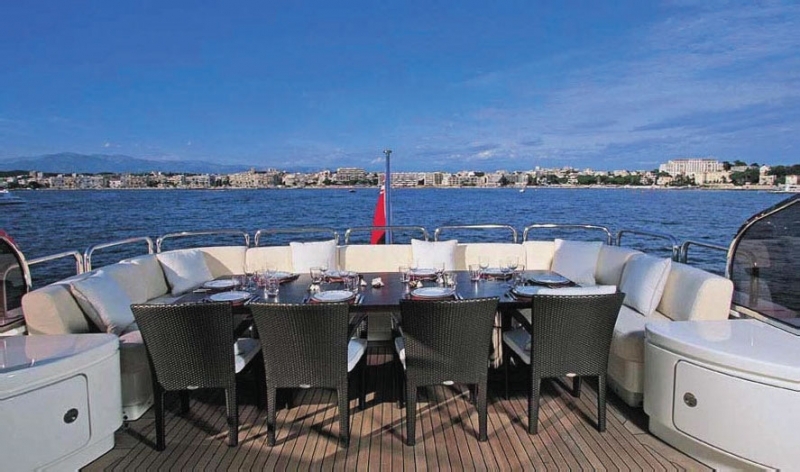 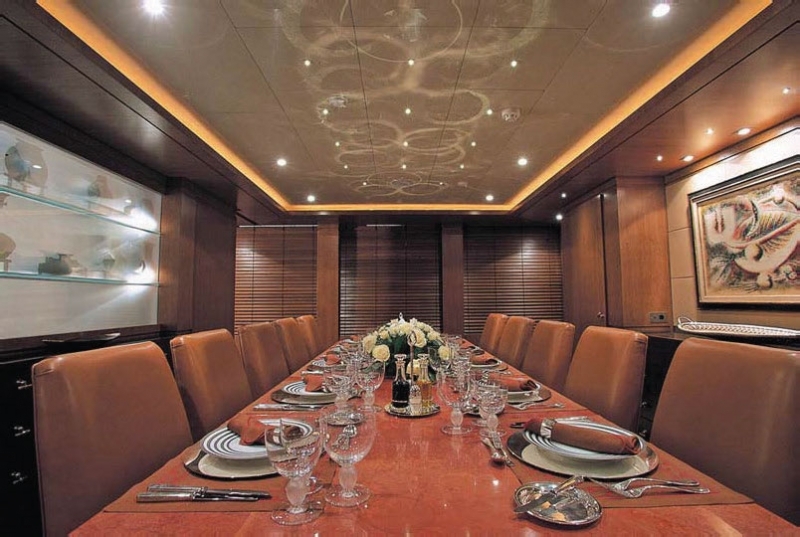 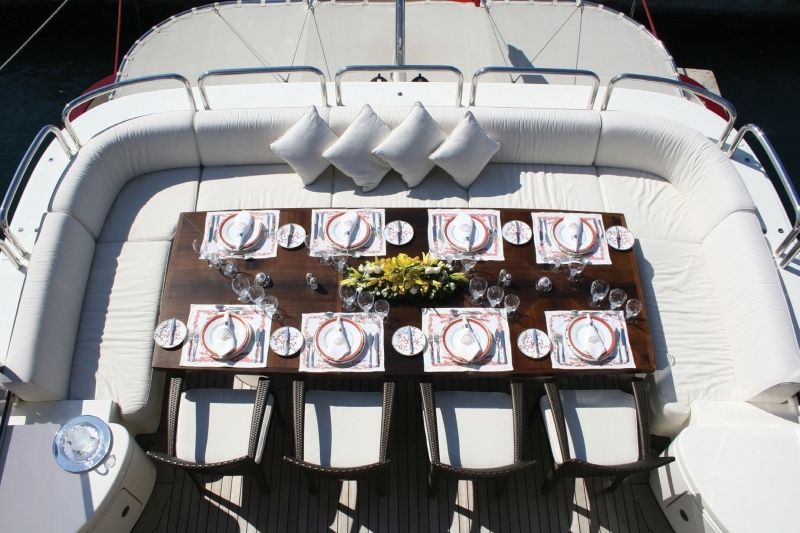 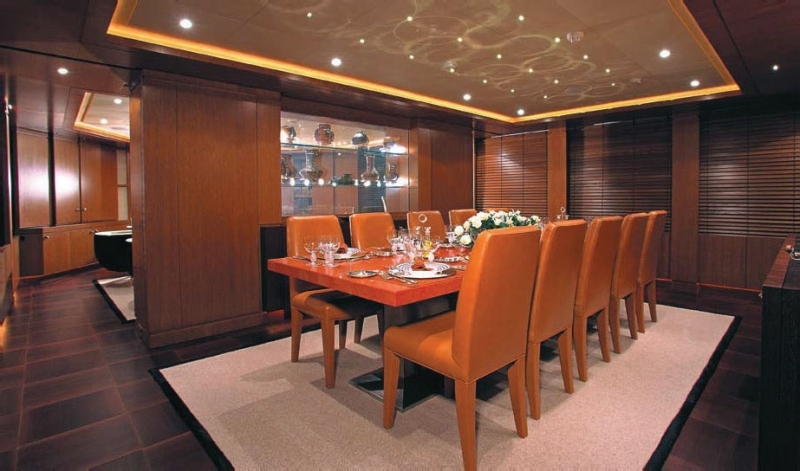 Owners Deck Aft deck dining. 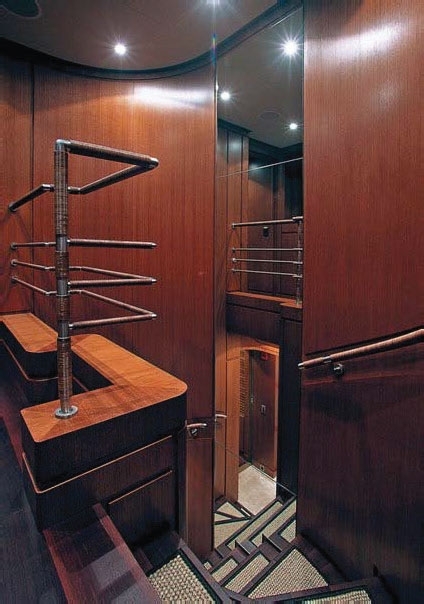 Treadmill and bicycle. 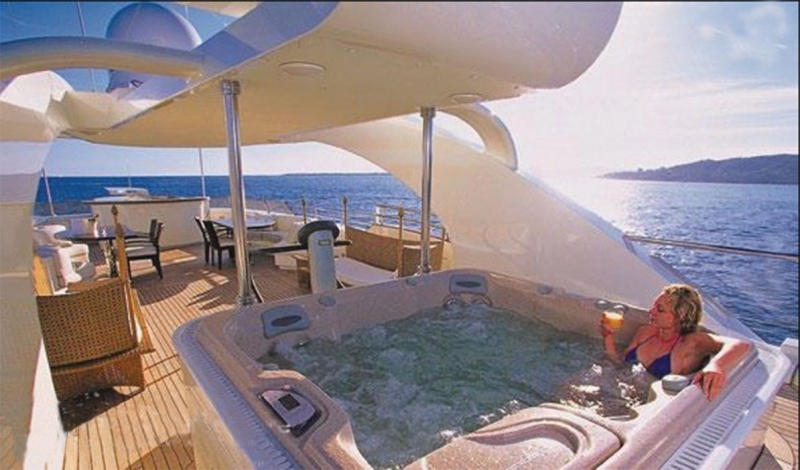 Sun Deck Jacuzzi. 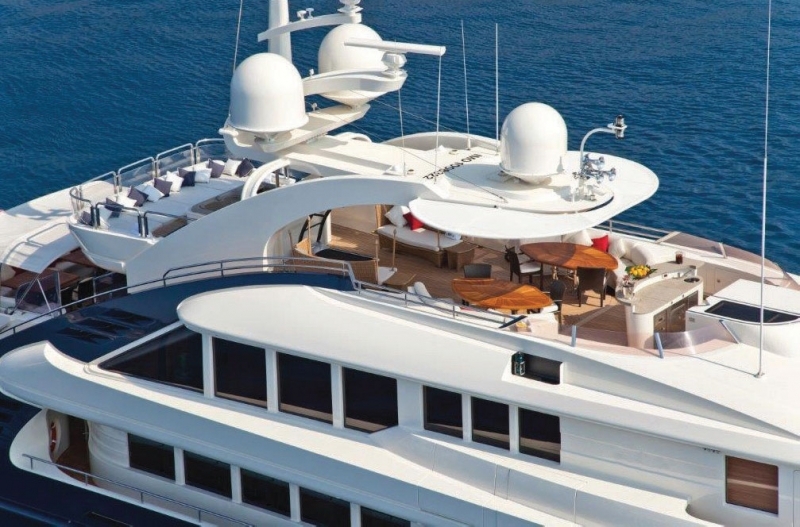 Large sunpad. 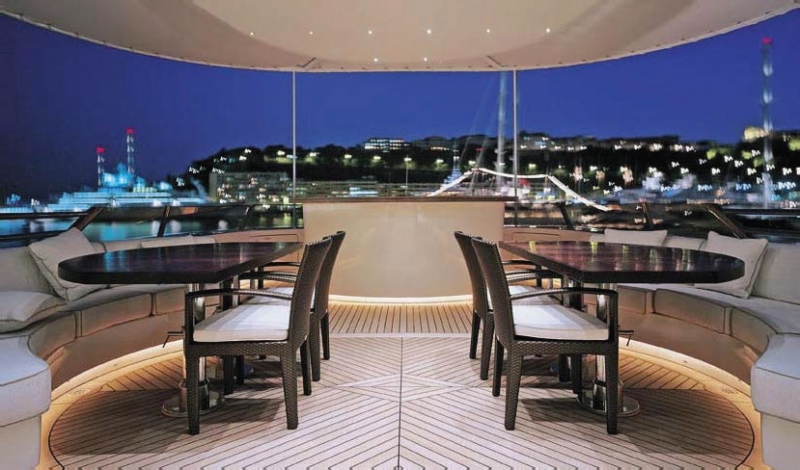 Covered seating for al fresco dining, bar, BBQ. 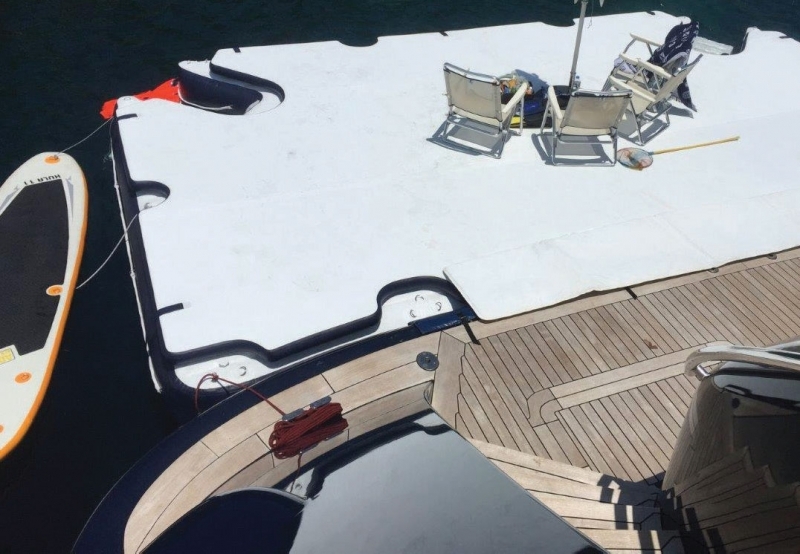 Swimming Platform A 4 x 7m hard inflatable swimming platform is added when at anchor. 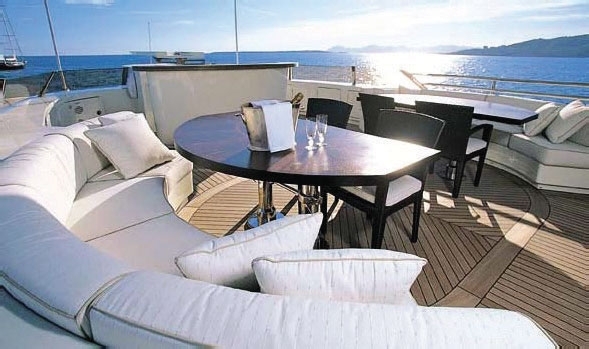 It provides ample sunbathing area and access to swimmers and to water toys. 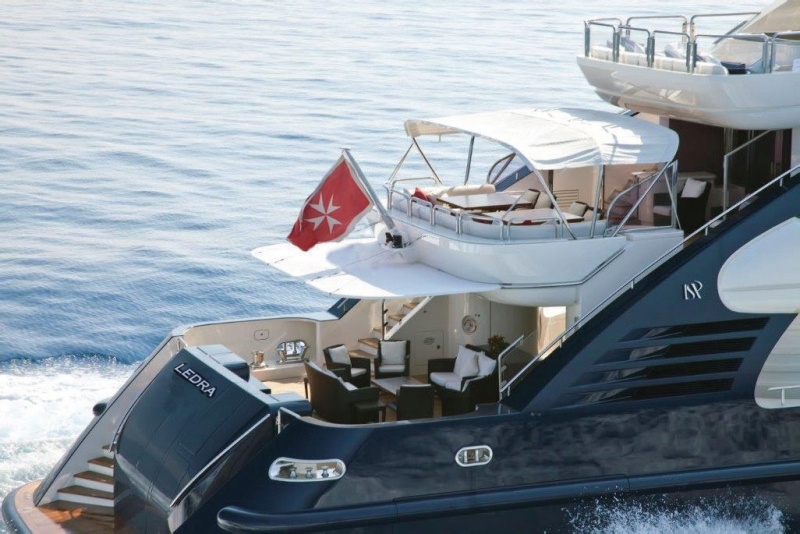 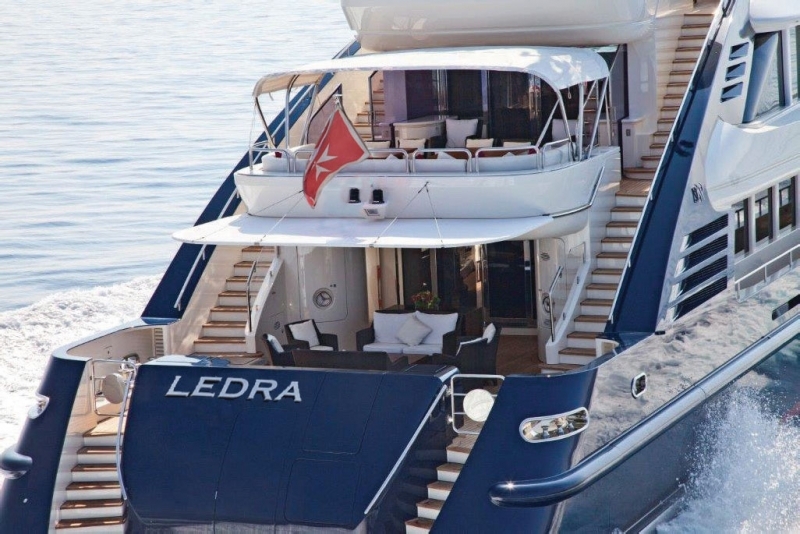 Ledra is one of the highly successful and particularly striking ISA 47 series that was built for her owner and delivered in 2005. 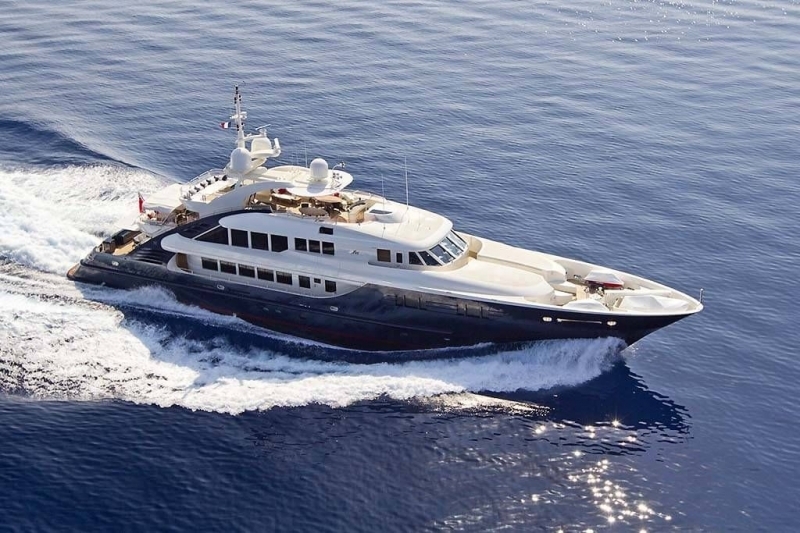 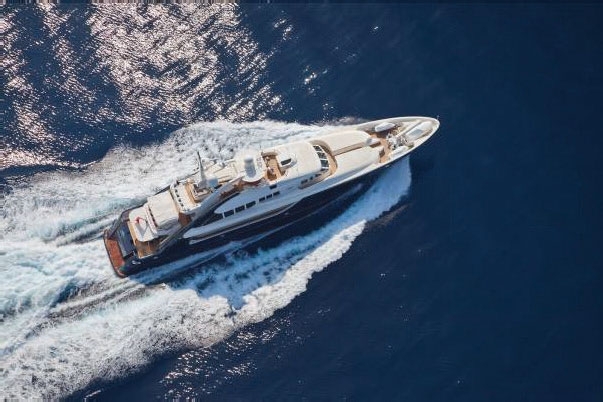 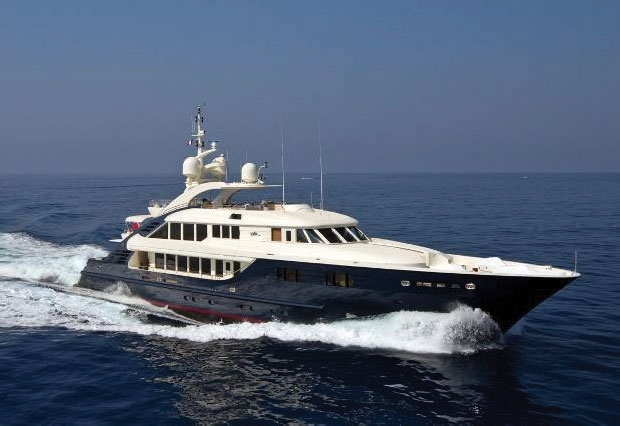 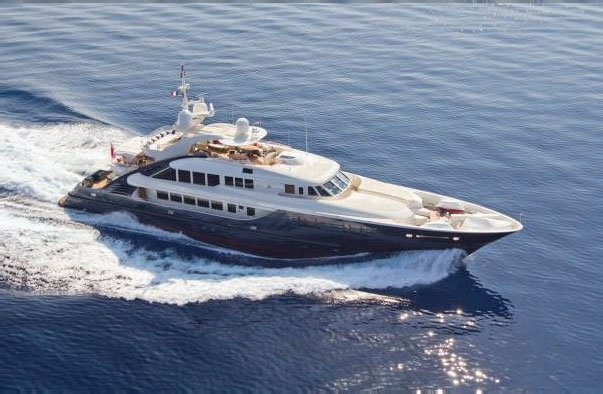 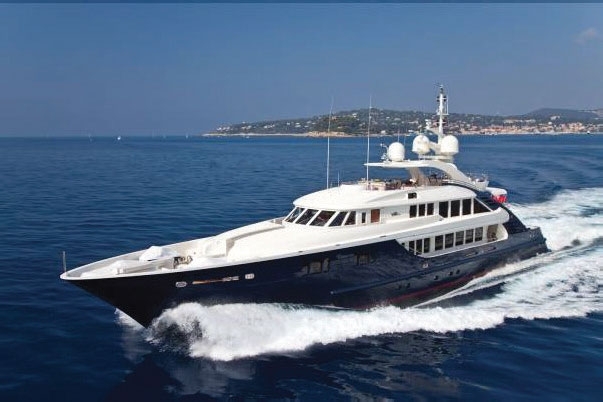 She has always seen a thorough maintenance schedule and has recently completed (June 2011 - December 2015) a major refit including complete repaint of her topsides in flag blue, superstructure in Oyster white, new generators and more. 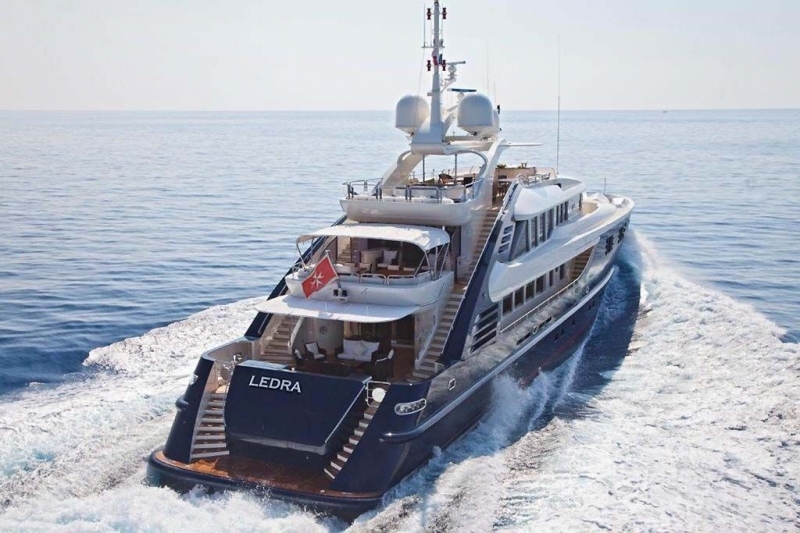 Fully in class with Lloyds and MCA compliant for charter Ledra is ready to receive her passengers for immediate cruising. 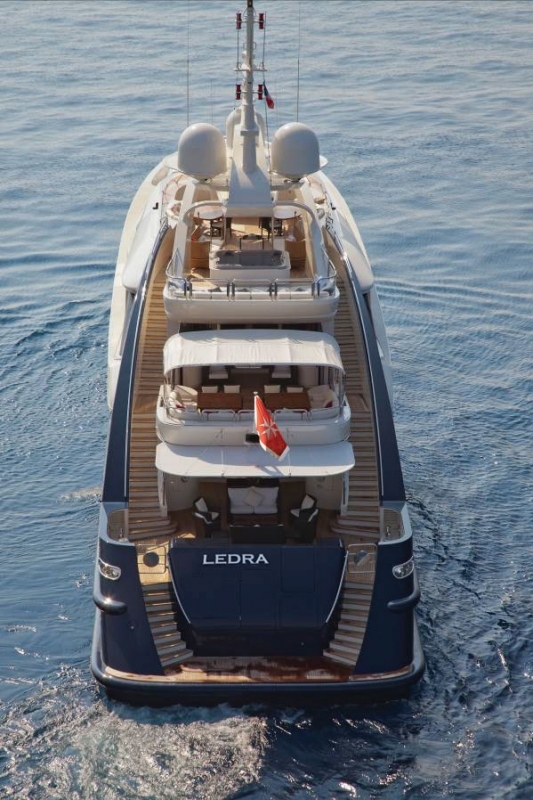 For the e-brochure please click here.